For as long as he can remember, Girish has created rhythm to accompany life. His first experience of music as sacred art came in college, playing with jazz bands. “During improvisational sessions,” he recalls, “there were these unexplainable moments of synchronicity and intuition that felt like magic.” This led Girish to an unexpected journey—a seeming detour to live as a monk in an ashram for five years that inadvertently nourished his musical artistry. Here, he studied Sanskrit as a means to understand the deeper meanings of ancient chants, which sparked a life-changing event that led him back to music—and to combine music with Sanskrit chants. 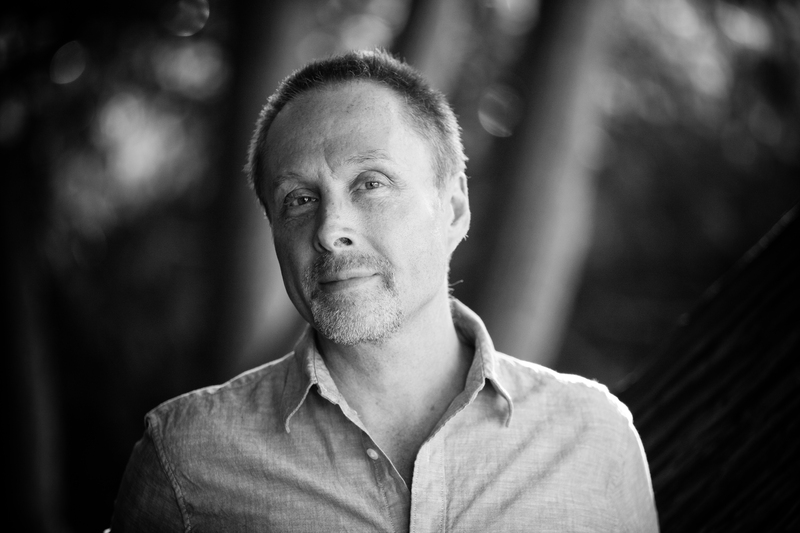 Now he shares what he’s learned to help people of all ages, backgrounds, and traditions to transform body, brain, and life through mantra and music. 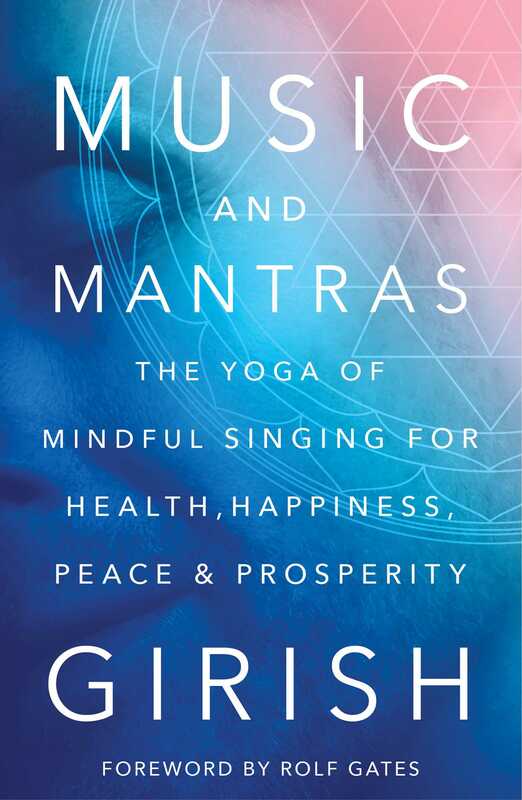 With Music and Mantras, Girish has created an interactive toolkit—including more than ninety minutes of companion audio material—for personal transformation through singing, sharing his own experience as a musician, yogi, and former Hindu monk. Weaving simple, elegant mantras from ancient traditions with neuroscience, Girish shows us how to achieve greater peace of mind, clarity, calm, focus, and even improved health and wealth through the yogic art of chanting—an ideal practice for singing our way to happiness, health, and prosperity. Singing is the rawest thing. Having been naked in films or naked in photo shoots, it’s nothing compared to singing. It’s absolute nakedness. You are stripped bare! It’s very strange. Acting seems much easier, in fact, because you are putting on a costume—whereas here, you are taking everything off. I can speak from experience that our singing voice is deeply entwined with our core identities, a kind of shamanic tool that we can use to explore and heal the hidden parts of ourselves. Before I released my first album, Reveal, in 2004, I had never really shared my singing voice publicly. Singing for me had been a lifelong dream that, up to that point, had only found expression in the devotional chanting practices that were an essential part of my daily spiritual life. Chanting with the harmonium (Indian reed organ) in front of my home altar was and still is a deeply personal, intimate expression of singing. In that setting, it’s just you and Spirit; you can sing freely, just for the joy of it. However, singing like that in front of a room full of people was something altogether new and unfamiliar. I knew I had a profound calling to sing and to share these songs that were coming forth like musical flowers from this living plant of daily chanting practice that I’d been nurturing for more than a decade. Just after returning to California after my second trip to India, at a time when I was making part of my living as a professional tabla (Indian hand drums) player and had just recorded Live on Earth with Krishna Das, I awoke to the sound of that calling loud and clear in the form of an inner voice that said, Unless you sing, you’ll never truly be happy. My mind did a quick fast-forward through a hypothetical version of my life that didn’t include singing, and I saw with utter clarity that, at the end, I would be filled with regret that I hadn’t taken this leap of faith to free my voice. That day, I put aside the tablas I’d been practicing devotedly for three to four hours daily, resolved that I could still keep my drumming skills intact with just an hour a day or so. In their place, I began the journey of finding my voice—spending hours every day singing with my harmonium or guitar, practicing the Indian sargam vocal scales I had learned at the Ali Akbar College of Music, writing new mantra-based songs (beginning with the song Ma), and even taking a few voice lessons here and there to help guide me on my way. Most of all, I dove deeper and deeper into my daily chanting practice. That practice formed the foundation for the way I approached singing and fueled the inspiration for the songs that came through me. When Reveal was released in 2004, the fifty-four minutes of music on that first album were the songs born from that period in my life. Even though I’d already been through the process of writing, recording, and producing at that point, until Reveal hit the streets, those songs and, more importantly, my singing voice, had so far existed solely in a kind of protective bubble into which only I, my family, and the musicians and singers who recorded with me had been allowed. As far as everyone else was concerned, I was still the little drummer boy who played tablas for kirtan (a form of call-and-response chanting) singers like Krishna Das or Wah. It was one thing to sing at home or even in the recording studio but, with the release of Reveal, it felt as if I was allowing my voice to be heard by anyone in the world who chose to listen. On one hand, I felt exuberant to finally be able to share this musical offering and to let the world know that the little drummer boy had found his voice. On the other hand, putting this music out for everyone to hear felt a bit like walking down Santa Monica Boulevard stark naked in broad daylight. You can see why the album title was an obvious choice. The very same week that Reveal came out, I had another debut of sorts, this one in the form of a red rash that appeared suddenly all over my neck, chest, and back. A friend who saw me around that time took a look at my red, inflamed neck and said, “Oh, wow. You look like you could be a Cardassian from Star Trek. It’s kind of cool, actually.” Finding myself inexplicably covered in a red, itchy rash was definitely not cool, however, because just as this new phase of my musical life was getting under way, the discomfort of this bizarre skin issue had suddenly made my day-to-day reality a challenge. I found it hard to sleep at night and even the touch of a shirt against my chest was incredibly irritating. I was miserable. Those words landed like a big stone in the middle of a lake, sending ripples out in every direction. It suddenly dawned on me that what was going on with my skin could be a kind of dramatic externalization of an underlying psychological or energetic blockage that was just coming to the surface—literally—to be healed. I felt daunted at the prospect that my healing from this uncomfortable condition wouldn’t come in the form of a quick-fix prescription but, instead, would require me to evolve somehow, to embody myself more fully. Even so, I felt a sense of confidence and strength begin to come over me because I knew that I had a powerful ally to help me through the process: my singing and chanting practice. Over the next nine months, with Reveal starting to find its way into the iPods and ears of people all around California and then beyond, I began playing my first concerts as a singer, still contending with the discomfort of the rash. At first, singing in front of an audience felt strange and a little intimidating, but the more I tried to cultivate the same feeling I would have chanting alone in front of my altar, the more natural and comfortable it felt. I began to notice that, while I was deeply in that sacred space of chanting, all the discomfort from the rash would vanish. At the end of those nine months, during a kirtan on the Big Island of Hawaii, the redness and irritation that had been my constant companion and fierce teacher for the better part of a year finally disappeared from my body. At this point I feel like I should insert one of those caveats you see at the end of those stock market trading services commercials with the message, “These results are not typical. Actual results will vary.” Just to put your mind at ease, among the thousands of people I’ve encountered who’ve taken the journey to find their true voice, so far I’m the only one whose process included a temporary Cardassian neck tattoo. What finding our voice does give each and every one of us, though, is an opportunity to know ourselves more fully. Through the physical aspect of learning how to sing, we become more deeply aware of this physical instrument of our body; we begin to tune in to the deeper patterns of thought and feeling within us, and how those patterns are showing up in our body. By tuning into ourselves in this way through singing, we have a place from which we start expressing and releasing things. It’s simple and direct. As we embark on this healing journey to connect with our own singing voice, we’ll begin with some amazing and inspiring insights about the power of singing. We’ll discover how it’s possible for the heartbeats of a group of singers to actually sync up to the same cardiovascular rhythm. We’ll learn whether or not amateur singers can reap the same or even greater benefits from singing than professionals. And we’ll see what an ancient Buddhist mantra has in common with the Christian Ave Maria prayer. In the next chapter, we’ll explore together exactly how singing, chanting, and mantra affect our physical, emotional, and psychological well-being, our adaptability and longevity, and how we can cultivate and boost those life-enhancing properties of these fun and functional practices. "In this beautiful book, Girish shares his long and wonderful relationship and experiences blending the practice of Chanting and Music." "Long before popular music was industrialized, folk music in America was focused, not on the individual, but on community — people gathering together in living rooms, front porches, and town squares to play music of their ancestors and, more importantly, to sing in one voice. Girish shows how this tradition is an ancient one and why ritual is so important for nurturing wellness, not just of the individual but also among neighbors and friends. His own personal journey as a former jazz musician itself connects the dots between the West and East. Singing is as human as breathing, and this book tells us why." "Let the masterful Girish lead you on a journey of spiritual unfoldment through the vibrations of mantra. The practices in Music and Mantras will transform and uplift you; listen and follow." "Girish has provided a pathway to an integration of personal awareness, expanded understanding, developed skill, and the experience of oneness with our Source. He invites the singer into a discipline which offers opportunities for growth, healing, and peace of mind. That wonderful mystery that while we each do our own work we are one can be seen in Girish’s sharing and experienced as we join our voice with his." "Music and Mantras is a must read for all those looking to deepen their awareness of Bhakti Yoga. Girish dives into the many facets of voice, sacred pronunciation and meanings to create a very rewarding and thorough experience for readers." – Sridhar Silberfein, producer/creator of Bhaktifest, producer of “River of Love"